Geoff Tate is a sensual man. A man as prone to strike a woman speechless by his very presence as he is to compliment their hair style. A man who becomes animated when asked about his favorite cut of steak - a filet mignon -and the resulting gastronomical tour de force when paired perfectly with his Malbec blend. Best known as the lead singer of progressive Northwest 80’s metal band, Queensrÿche -- Geoff is now touring to promote a second career and love- wine making. 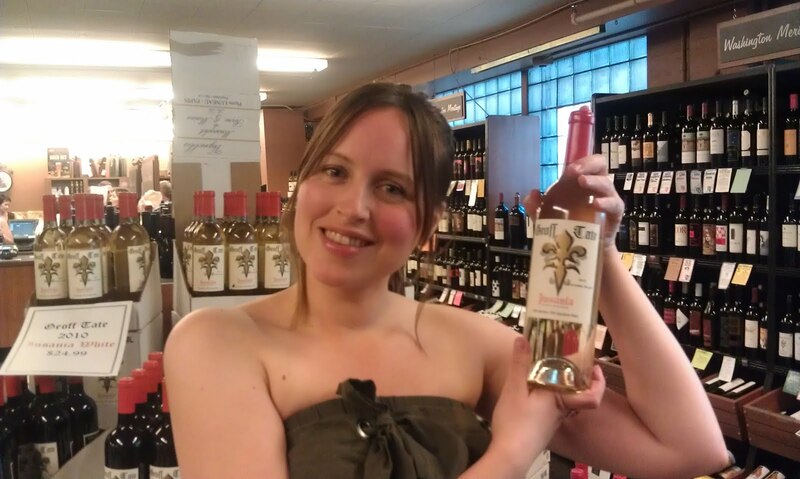 Mr. Tate made a special appearance last Friday at Esquin Wine Merchants to promote and sample his new wine label, Insania, meet with fans and autograph their bottles of 2009 Geoff Tate Insania Red and 2009 Geoff Tate Insania White. He cut a rockstar image clad all in black in a well cut dress shirt and tight fitting jeans; a hint of eye liner accentuating his already piercing eyes. Strains of Queensrÿche’s signature hits could be heard throughout the store, where a line had started to form between the aisles, as fans clutching posters and Insania wine bottles waited for their all-access pass to one of Hit Parade’s 100 Greatest Metal Vocalists of All Time. One may wonder how an iconic lead singer of a gold and platinum record metal band came to trade his sleek black uniform for a starched white lab coat? Today, Holly and Geoff are partners in the Insania wine outfit –she, the winemaker --out of Three Rivers in Walla Walla -he the enthusiast and devoted taster whose name graces each label. Geoff’s interest in wine is mostly around developing a signature taste for his blends, and with Holly, spends a lot of time in the ‘wine laboratory,’ sampling throughout the blending process , until together, musician and composer hit the right note. in Washington state, where we can grow every type of grape, and delights in the array of complex possibilities such wide availability affords for future blends. He likens his white blend to ‘drinking a summer day, ‘capturing the feeling of sitting on a beach with friends and a bucket of shellfish, and just enjoying good times. His red, like his white, was blended with food pairing in mind, and with a much bolder profile, goes with anything from the former vegan’s top pick--Filet Mignon --to Pork Loin. 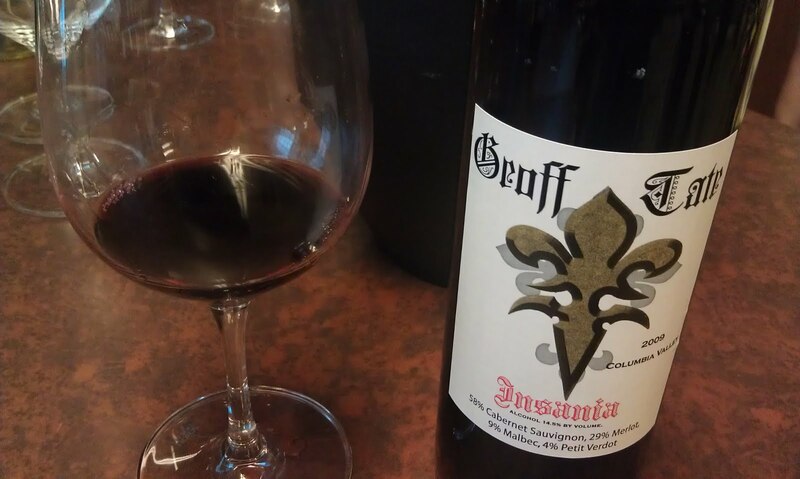 With Insania offering pours like these, we wonder if endorsements like Geoff’s will lead to better wine offerings on band tour buses ?